Bettws Road is a fictitious location based in Wales around the 1930/40 era. 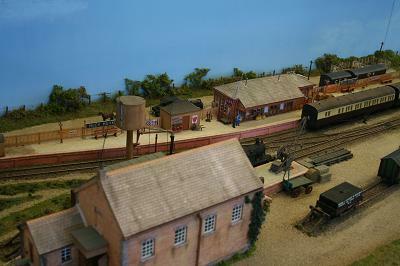 The village has a terminus station with its own goods yard and coal staithes. 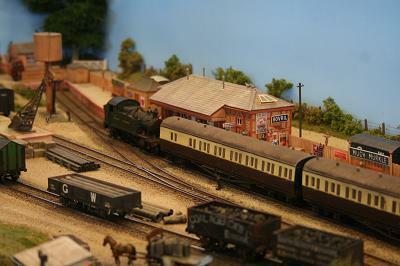 Railcars serve the station while express passenger trains use the main line along with the odd freight train. 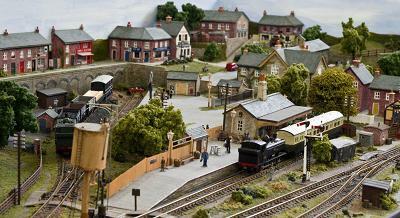 Codrington has been produced by members of the Sodbury Vale Model Railway Club. 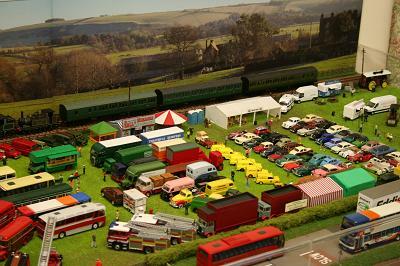 The layout depicts a typical British branch line terminus in the 1950s or early 1960s, a period of great transition as road transport took over from railways and steam gave way to diesel traction. The choice of buildings, scenic details, colours, plus locomotives and rolling stock re?ects a setting not too far from the Bristol area. In most cases, the rolling stock has been weathered to replicate the condition of the period. 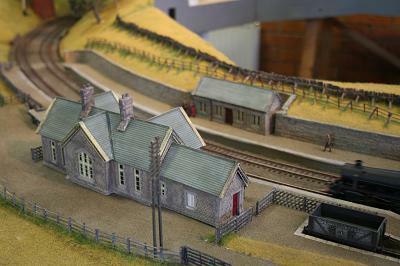 The goal was to produce a railway in its landscape despite the relatively small size of the layout; only 12 feet by 2 feet. 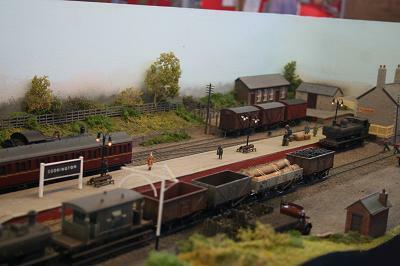 The main aim of the layout was to show what could be achieved with modern readily available off the shelf 00 gauge products and materials. 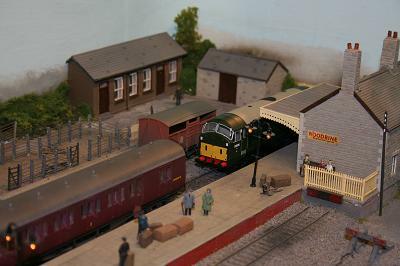 To this end it uses buildings from Hornby and Bachmann plus Peco code 75 track giving a ?ner appearance. 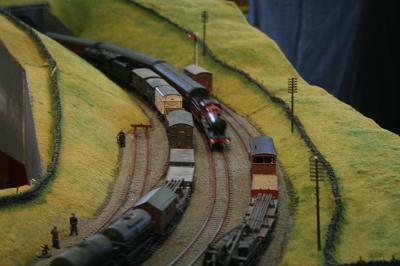 Points are operated by Fulgarex slow action motors and the signals are from the new Dapol range. 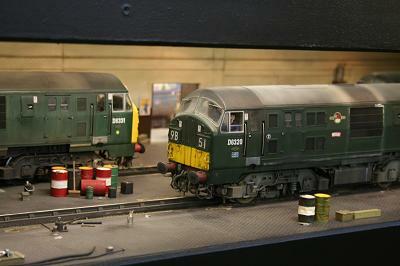 The ready to run locomotives are controlled using Digital Command Control (DCC), a relatively new innovation in model railways. This provides excellent running through precise motor control and greatly simplifies the amount of layout wiring. Reliable hands off shunting of rolling stock is achieved by using Sprat and Winkle auto couplings which are a simple to fit modification to the off the shelf stock. 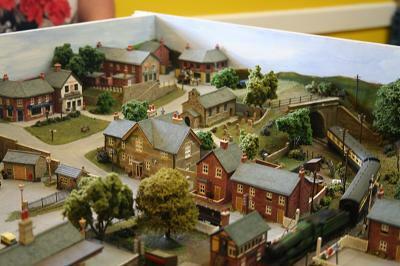 Much Murkle is set in a fictitious 1930's Herefordshire community served by the Great Western Railway, it had a population of 1,452 people according to the 1931 census. The town is served by a single track branch from the equally ?ctitious junction at Newent on the Gloucester to Hereford Line. 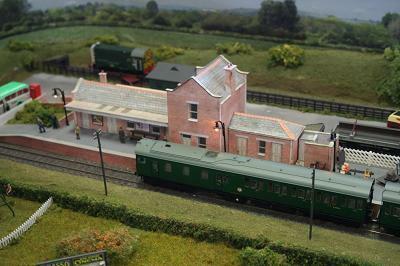 The branch is just 8 miles long, with one intermediate station at the village of Kempstone, a small halt serving Sollers Hall and finally Much Murkle itself. There is a rail served quarry located approximately 1 mile outside of Much Murkle. All trains departing the quarry have to reverse at the terminus station before heading back to the main line. The quarry has no run round facility, this often leads to more interesting stock movements. The quarry is not the only significant industry using the line. Rancoutt Cider use the branch to distribute their fine Cider and Perry to the outside world, vans from all the big four rail companies can be found in the sidings. Newton East as the name implies is a station on the outskirts of the town of Newton. Originally built by a pre-grouping company, the line has survived the Beeching cuts and forms a busy avoiding line. The goods yard is also busy as the old factory buildings have been taken over by a mail order company and so wagons come and go bringing and taking away products. 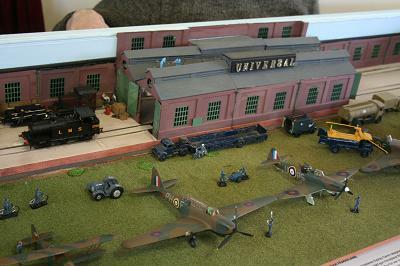 In reality the layout is purely fictitious and has been designed and built to entertain the viewing public and provide interest for the operators. 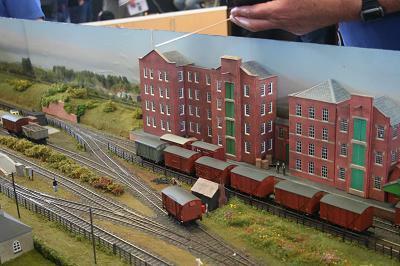 The layout has no geographical location but is set during the period of 1955-65 and shows rolling stock (predominantly diesels) that would have been seen on British Railways during that period. 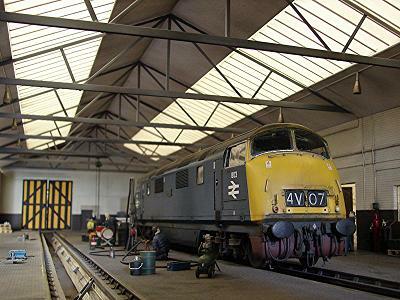 The layout permits rolling stock from the Southern/Western and Midland/Eastern/North Eastern regions to be run together. The track work is ‘SMP’ with hand built pointwork using PCB sleepers and nickel-silver bull-head rail and operated with ‘Peco’ motors. Electrically the layout can be operated by 1 or 2 operators with their own controllers. 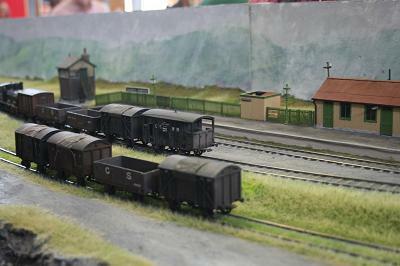 The layout is set in the South of Ireland, County Kerry to be exact circa 1935 on the Great Southern Railway. The line to the settlement of Valencia left the Great Southern and Western Railway line between Killarney and Tralee at Farranfore and was built in a number of stages between 1885 and 1893. Valencia's main claim to fame was being the western most railhead in Europe and the point where the North Atlantic telegraph cable entered the Ocean, hence the warning triangle that can be see by the building. The prototype line itself was sadly closed in 1960. 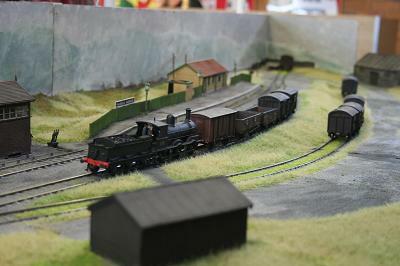 The model is built to 4mm scale and to the correct gauge of 5 foot 3 inches or 21mm track width. The stock is mainly kit built from various sources.